the intent and motivation for this event is to bring art in a new light, a new atmosphere. a bunch of people coming together to interact and enquire on intellectual philosophies and the likes. 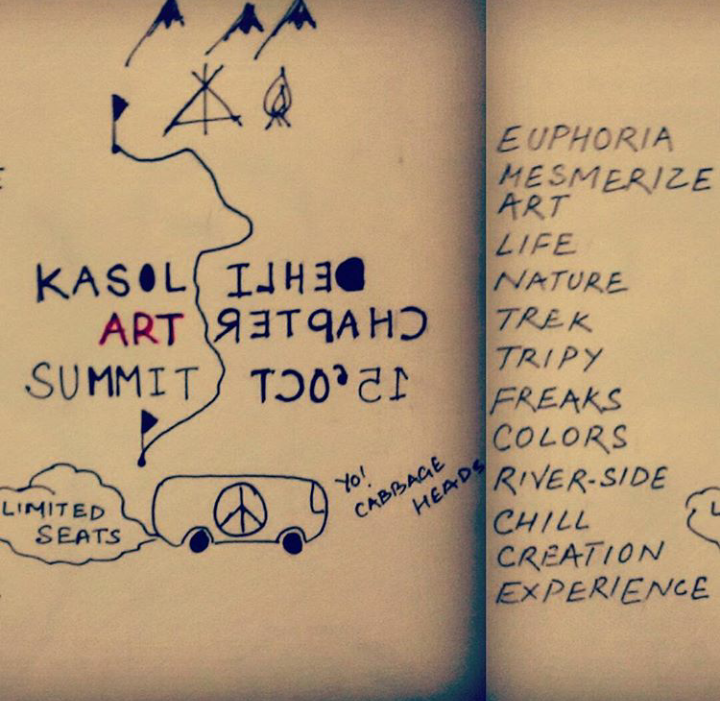 through the Kasol Art Summit Experience, we hope to form new lines of thought to think from, a change in normalcy, creating a cult of sorts in the centre of nature's true beauty. Registrations Close 13th November '15. what's more, we'll have a Mono Act by none other than Mr. Arjun Advani himself. Arjun is a seasoned theatre artist and loves doing improvs. lots more stuff like this and more troll on its way. do come.